If you’re unfamiliar with the world of DIY dryer repair, there’s nothing to fear. In this post we’ll demonstrate how to fix a dryer, beginning with isolating the problem, in a clear, step-by-step guide. We’ve already posted about what to do if your dryer won’t start, as well as what to do if your dryer isn’t getting your clothes dry, so we’re going to focus on some of the noisier dryer issues here. Hopefully, this will help bring a little peace of mind – or at least a little peace and quiet. If your dryer sounds like you’ve got a pair of sneakers in there, even when there isn’t a sole in sight, there’s a good chance you may need to replace the drive belt. Fortunately, worn out belts are extremely commonplace, and relatively easy to swap out. 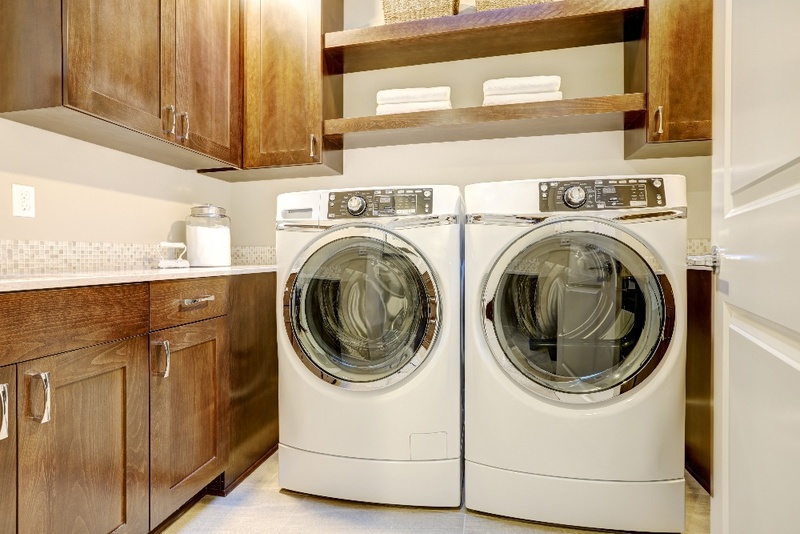 Read on to find out how to fix a dryer that just won’t quit rumbling. You’ll need a few simple tools to perform this repair: a Phillips head screwdriver, a putty knife, and a 5/16” nut driver. Unplug the dryer and remove the lint screen from the top of the machine, as well as the two screws right beneath it. Then, facing the front of the dryer, insert the putty knife in the small gap, between the top panel and the body, pushing forward to release the clips holding the top panel down. There are two clips, and you’ll want to insert the putty knife about an inch from the right side, as well as an inch from the left side. Open up the top dryer panel, and find the harness to the switch – it’s located inside the machine towards the top front side, and looks like a safety belt with wires coming out of either side. Pull it apart to disengage it. Remove the two 5/16” screws from the inner-top of the front panel, and then lift the panel up and out, removing it from the dryer. Lift the drum up with one hand, and loosen the belt from the idler pulley with the other. Take note of how the belt is threaded onto the pulley system so it will be easy to replace. Simply swap out the belt for the new one, thread back up, and reassemble the dryer panels. If you hear a machine-gun like thumping that’s fast and repetitive, you might want to check out your drum rollers. The rollers, true to their names, keep the dryer drum spinning. 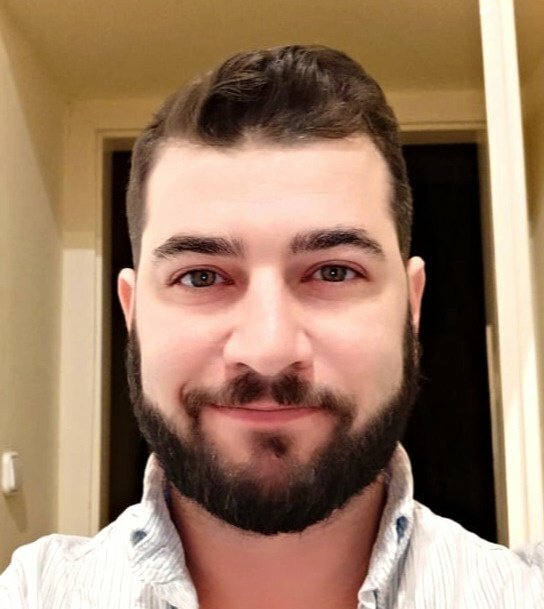 They’re rubber wheels, similar in size and appearance to ones you might find on a pair of rollerblades, and fortunately, they’re not too hard to replace. Following the same instructions as above, disassemble the top and front dryer panels so that you can see the drum. Lift the drum slightly with one hand, and free the belt from the idler pulley. Remove it from the drum, and then remove the drum itself from the dryer to expose the drum rollers. There are two rollers, one of which may be supported by a bracket – simply loosen the bracket with the screwdriver slightly, and replace both rollers. To make reassembling the drum and belt a little easier, you can put the belt around the drum, and then use it as a handle to lift the drum into place. Then, feed the belt back into the pulleys and reassemble the machine. Often, you can eliminate squeaking noises with some simple lubrication – but first, you’ll need to isolate the problem. If you hear a long, drawn-out squeak, you may just have to lubricate your drum roller bearing. Follow the above steps to access the drum rollers, and then simply lubricate the bearings. If you’re hearing a stop-and-start squeaking noise, you may need to replace your idler pulley. However, before you replace the whole thing, you can definitely try lubricating it to see if that takes care of the issue. 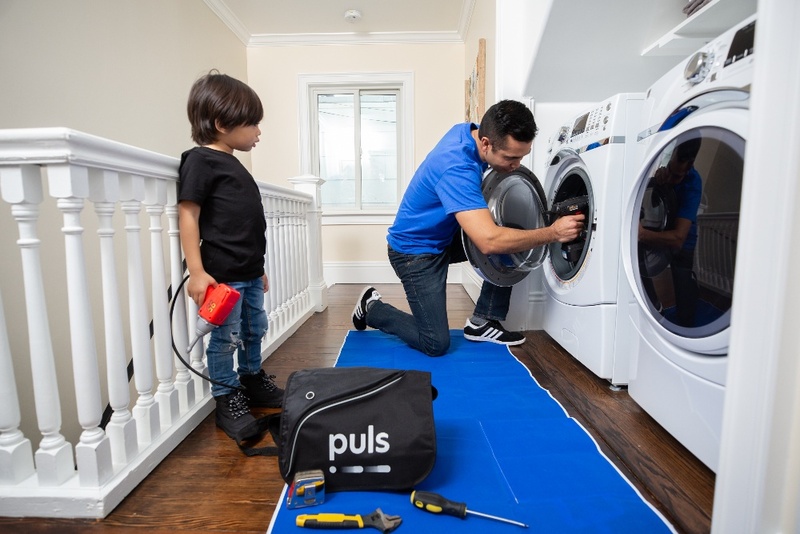 If DIY dryer repair isn’t all it’s cracked up to be, you can simply book an appointment online in moments, and a certified Puls technician can usually come check out your dryer as soon as the very same day. 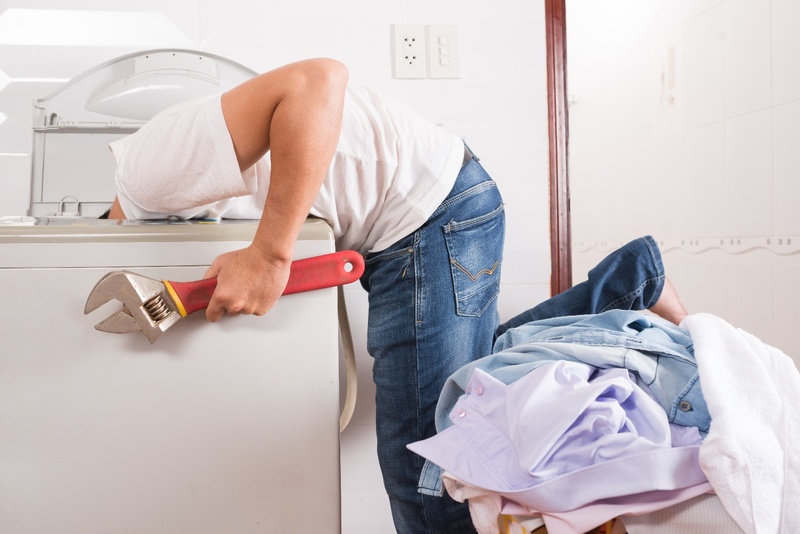 We fix washers, dryers, refrigerators, ovens, and much more. And with our 90-day guarantee on parts and labor, you can be sure the job is being done right the first time around.